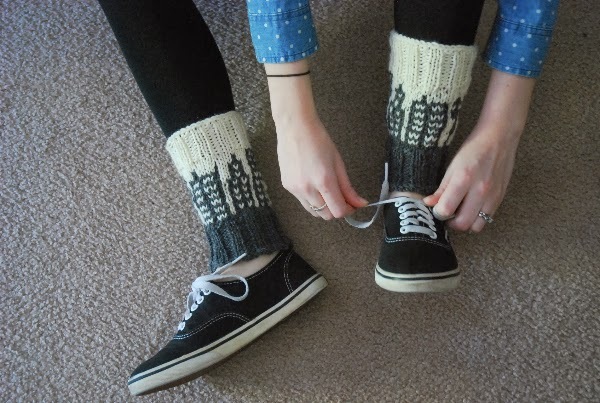 A lady in my wonderful women's bible study wanted some "knitted leg warmers with the silhouette of buildings on them". I can do that, possibly? She, I found out, makes beautiful jewelry, so we concocted a handmade trade! I got this necklace, and she received a pair of leggings. I also made a pattern for Ravelry, in case you are interested in making your own pair!